L1 has always had a deep rooted workwear / military aesthetic. Straying from that a bit last season, I wanted to reevaluate and restructure the line to maintain the style and quality we strive for. Revisiting the workwear / military look while incorporating several new fits, styles and fabrics gives this season of L1 a fresh look that is inline with the esthetic and needs of the team. For L1 I look at a lot of vintage workwear and vintage military styles trying to incorporate a balance between classic looks and modern demands. I feel the brands I follow and get inspired by don’t correlate much to the L1 look. 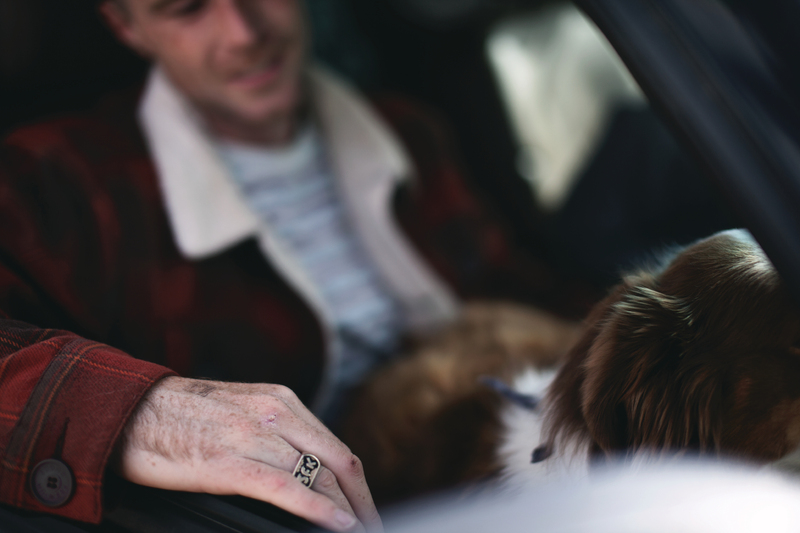 I do like what Neighborhood, Carhartt WIP, Eat Dust, Rogue Territory and 3 Sixteen are doing. Like I said though those brands have very little bearing on what I do here. L1 is an always has been very team driven, I try to take everything that the team riders want and need for various reasons and design it in a way that it all works together to achieve a cohesive collection. It’s difficult to say what the important pieces are at this point, honestly the more price conscious pieces are the most important because those are the more sell-able pieces. However, I feel the brand builders are just as important, whether you have some innovative new technology you are introducing, or pieces that push the esthetic you are going for they all end up serving a purpose. I’ll list out the pieces I like and I’m excited for people to get their hands on, but in general I’m very excited about the whole 18/19 L1 line. AFTERSHOCK JACKET – We have never had much luck with puffy jackets in the past 6 or 7 years that I’ve been working for L1 so I figured why not have a bit more fun in this category. I wanted to do a puffy pullover that had more of a contemporary feel than L1 is traditionally known for. 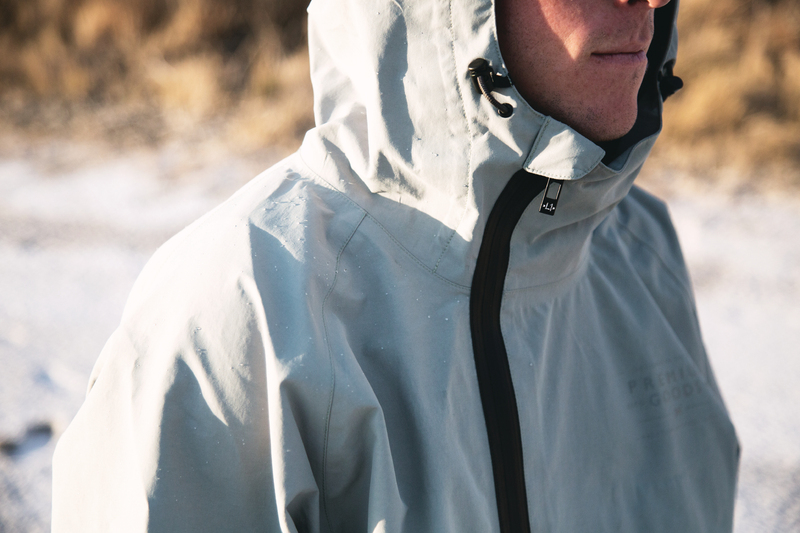 Slightly oversized with an exposed waterproof CF zipper paired with a lightweight micro ripstop and high loft insulation. 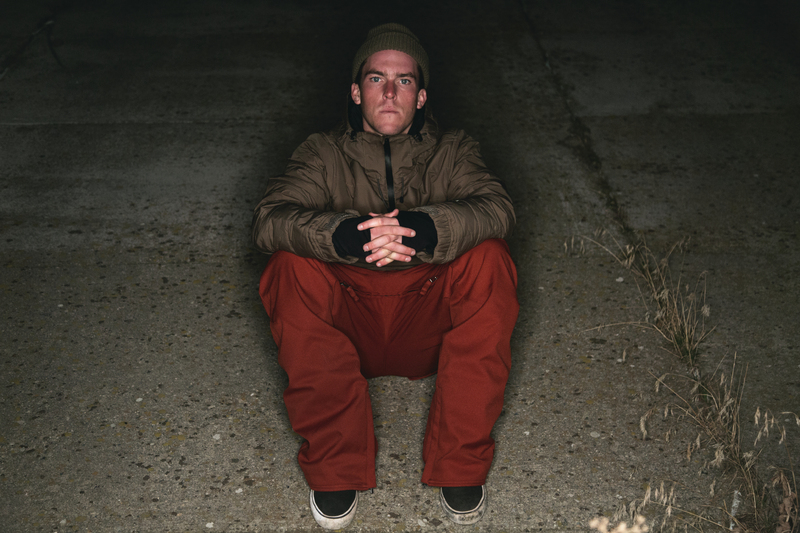 TAXWOOD PANT & JACKET – Sam was offered a signature line this season that consisted of a pant and a jacket. He wanted something more on the sporty end of the spectrum that he could wear in both the street and the backcountry. His request was a 20k/20k pant that nodded back to a jogger with an encased elastic hem at the leg opening and a nylon belt. For the jacket he wanted a simple and clean 20k/20k 3L jacket that somewhat resembled a hooded coaches jacket. AFTERSHOCK PANT – This puffy pant is really something I’ve always wanted to do. With the requests from the team wanting pants with encased elastic at the hem and more of a throwback feel, I thought this was the perfect time to introduce something like this. This one is fun and quickly becoming a team favorite. HAMILTON – I wanted to do a Sherpa lined barn coat as one of the “mountain to street” transition pieces, something that could be worn both on and off the mountain and function as well as look great in both settings. With our custom heavyweight flannel and supple Sherpa lining the Hamilton is quite the eye catcher. Both work well for us, its more of a matter of the style and the seasons color palette. I would say that there is always a demand for lower price points coming from most of our major countries, which we have accommodated with the Legacy, Wilcox and Hasting as well as a vast offering of our transition pieces that sit at a lower price point. Our pants cover a very broad range of price points so the demand for us mostly falls on jackets. As far as totally new silhouettes go we have 4 new fits in pants. The Aftershock, a puffy regular straight leg fit with an encased elastic hem. The Taxwood Pant a 3L regular straight leg fit with an encased elastic hem, The Slim Cargo, same fit as our slim chino, not to baggy not too tight. And the Straight Standard a true straight leg pant with a traditional leg opening. New for this season in the way of colors was incorporating Slit, a kind of grayed out mint green that turned out very nice, Walnut, a very dark khaki or light grayed out brown, however you want to look at it. Bone, a fairly traditional off white. For prints, we developed a Dead Flowers floral print that can be found printed on the tricot of the Taxwood and the Alpha as well as a print on satin in select pieces. We also re introduced an updated version of our Woodlands camp that hasn’t been in the line for about 5 years. I think as far as I’m concerned I could do without the whole “outdoor” look. I feel if you want that look go to a brand that does it and does it well.